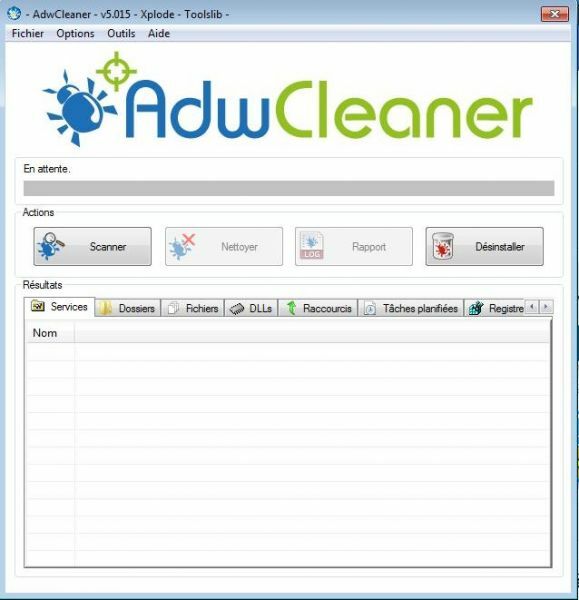 ADWCleaner does the in-depth cleaning: Complete PC analysis, detailed reporting on links, registry entries and installed programs and, most importantly, aggressive uninstallation of any potential source of trouble. First of all, you will have to download it, of course, then launch its installation from the directory where it is stored. Very quickly we see a window open, proposing several actions. You will have to start by "Scanning" the computer, i.e. instructing the software to scan for malware and other adware. This action may take a few minutes, but it is often fast. 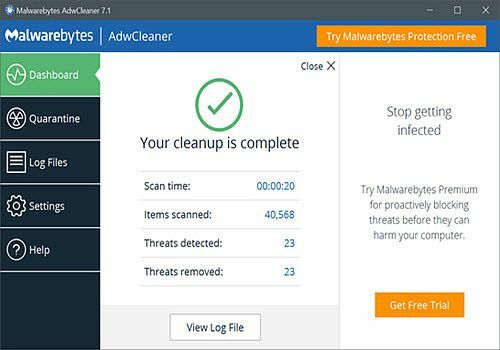 Then, and this is highly recommended, you will have to go through each tab to check the files that will be deleted: indeed, the software deletes everything it considers suspicious and this can damage the system. Only delete secure files! Once you are ready, start the cleaning: Be careful, do not touch the computer during this procedure. It will restart automatically and once rebooted, the computer will have been rid of the small nuisances that have prevented you from enjoying the navigation properly.